Zoe Penina Baker was fresh out of college and working full time for a Jewish non-profit in New York when she started using her disposable income for regular manicures and blowouts. Faced with a rainbow of polish options at the nail salon, each time Baker would grab the eggshell pink bottle of Fiji by Essie. Friends started commenting that her nail color reminded them of their adolescence, and the then 22-year-old Baker realized they were right. Fiji was the color her friends wore on their nails in middle school. “Miss Mitzvah” hopes to speak to the girl inside every young woman still chipping away at her Fiji nail polish, Baker said. Miss Mitzvah nous introduit au merveilleux monde des bat-mitsva. “There were so many things that I wanted growing up that my parents could neither afford nor feign interest for, and all of a sudden I was taking care of myself and this was all that I wanted,” she said. 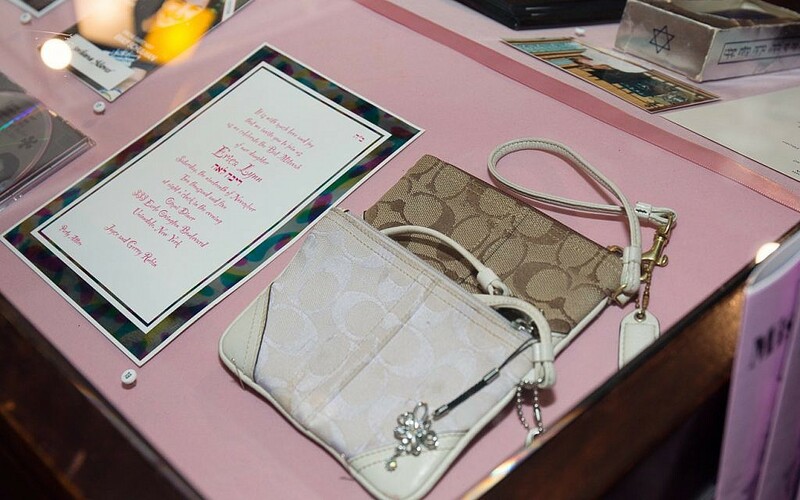 It was about to be the 10-year anniversary since Baker’s bat mitzvah. As she contemplated the deeper meaning of her nail polish color, Baker decided to use the milestone to explore how practices during adolescence shaped her and her female peers today. Baker sent out Facebook messages to her former middle school classmates to find out if some of their pre-teen experiences matched up. The conversations that followed serve as the basis for the ongoing podcast series. In what resulted in a powerful auditory exploration of Millennial Jewish female identity, Baker takes on body image, hook-up culture in Jewish summer camps and youth movements, and how to talk about these awkward subjects with men. Altogether, “Miss Mitzvah” is a painfully raw, sometimes nostalgic and often challenging 10-part series — the third episode dropped on Tuesday. 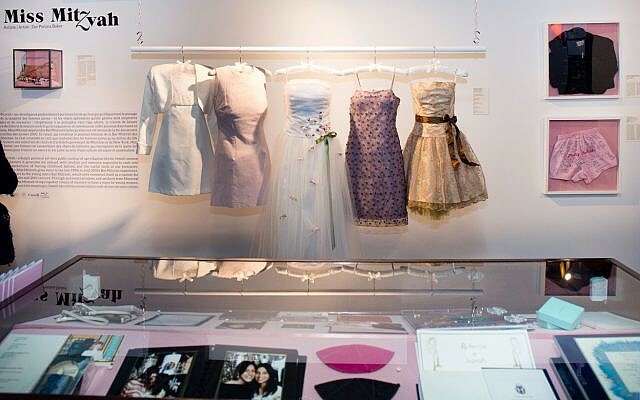 And its resonance is evident: A companion “Miss Mitzvah” exhibit of bat mitzvah memorabilia has just finished a run at the Museum of Jewish Montreal. It’s now been two years since Baker, an artist who grew up in Queens, New York and went to Solomon Schechter day school in Long Island, began collecting her friends’ bat mitzvah stories. 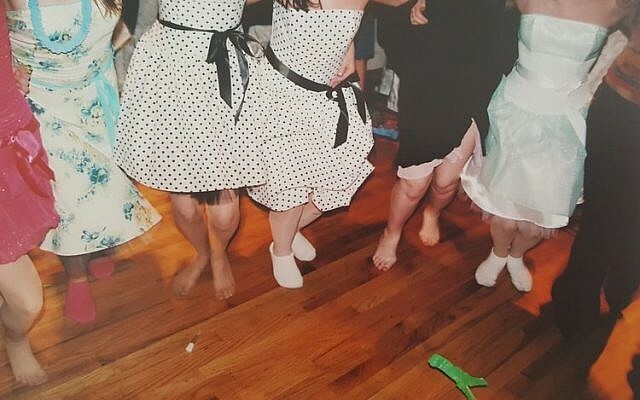 “[It] took a little bit of digging,” she said, to connect how practices developed during the bar and bat mitzvah period shaped one’s identity and relationships with males later on. “A lot of people have told me that camp is the first time you really get to experiment because you’re away from your parents, away from prying eyes, you can kind of get weird, experiment with your sexuality in social things,” she said. With the endless parties came the need for the female participants to start presenting themselves a certain way, Baker said. “… there was this acknowledgment that you’re not going to wear that puffy-sleeved smock dress that your mom bought you two years ago,” she said. “You’re going to wear a tube top… I remember strapless dresses were very very popular. I didn’t know that strapless bras existed until I had to go to bar mitzvahs. These kinds of things are slowly but surely building you into becoming a sexualized being that we don’t necessarily feel like we have a choice but to become socially,” said Baker. 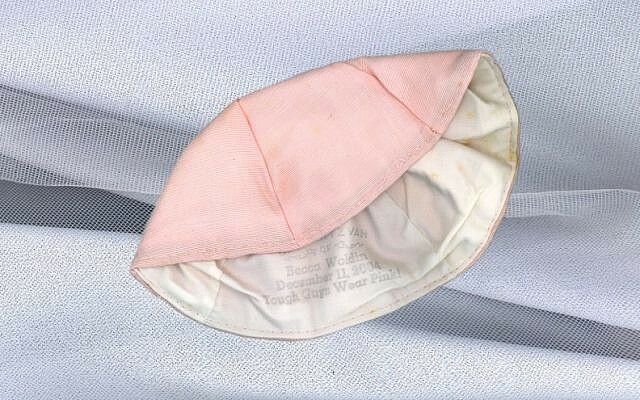 While Baker recorded the bat mitzvah stories of her friends, she also collected their objects — dresses, invitations, yarmulkes, photographs and party favors from their weekend bash. 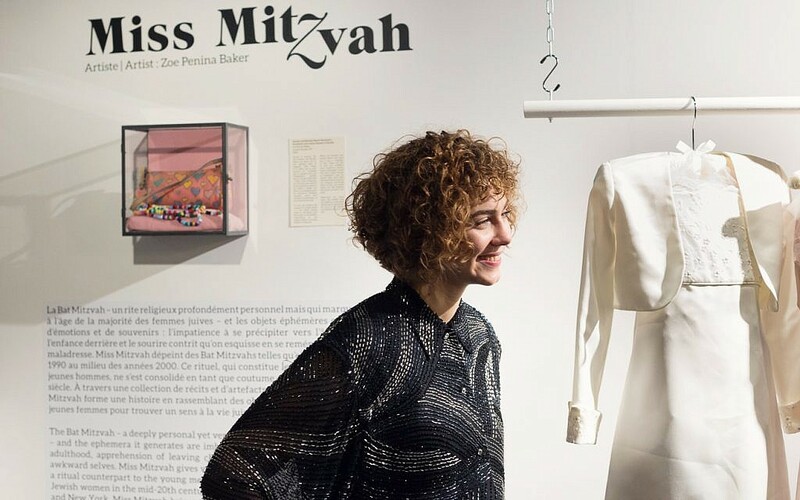 This memorabilia became the subject of her “Miss Mitzvah” art exhibition at the Museum of Jewish Montreal, which opened in November and closed January 20. Baker hopes to travel around North America with the exhibit later this year. 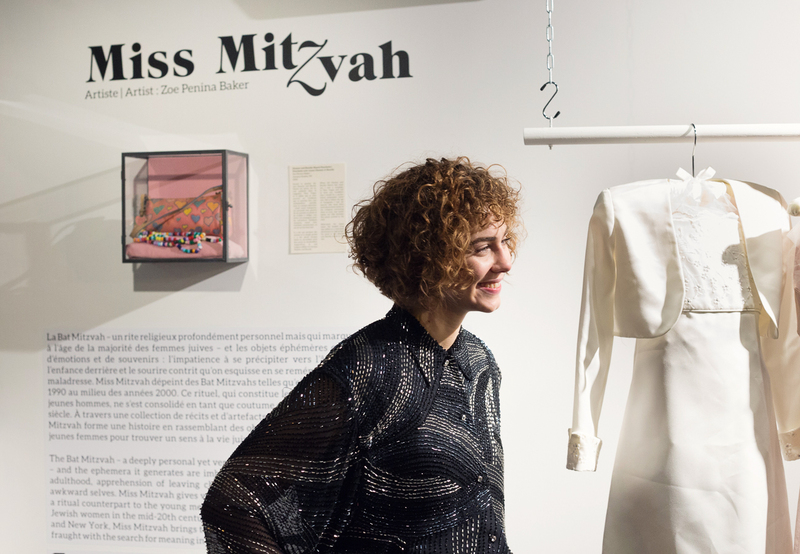 Even with the exhibit, Baker struggled to find a way to share “Miss Mitzvah” with a larger audience. Creating the podcast, she said, was a natural solution. “That’s what people do now. You do a podcast and you put it on Soundcloud with a little bit of context,” Baker said, giving anyone access to the conversation. Baker partnered with producer Sophia Lanman, a (non-Jewish) audio engineer and senior at McGill University, to bring the podcast together. The second episode titled, “The Talk (Boys Behaving Badly),” is particularly timely, as recent revelations about the Conservative Jewish youth movement’s USY hook-up “points system” game emerged, and accusations of sexual harassment against Jewish community youth leaders continue to surface. In line with the #MeToo movement, this episode focuses on how to bring males into the conversation. Woldin describes her party: “I danced with a boy for the first time, and it was super awkward, and I just waited for it to end. I kept thinking that he called me a ‘butterface’ during tefillah [prayer],” she said. “Butterface” is the term for a girl with a “hot body” but an “ugly face,” according to Urban Dictionary. “I wanted to say, ‘I don’t want to dance with you,’ but wanted to be nice…,” she recalled. In the episode, Baker also saved time for the men to speak. Before beginning the recorded conversation, the male interviewees listened to Woldin’s experience and read a letter Baker wrote on how to properly approach their upcoming interview. 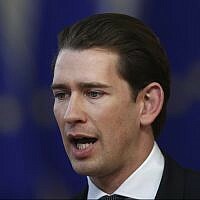 The discomfort of the males felt in this episode is a positive step, Baker said. “A big part of this #MeToo movement is saying, ‘We felt unsafe, and you didn’t even know,'” she said. Including the male perspective was the first step in adding more voices to the “Miss Mitzvah” conversation, she said. Future episodes will feature a wider spectrum of experience and religious background. “[Miss Mitzvah] started with my story but it’s not mine anymore,” Baker said. “Coming of age rituals are universal and every community has their own thing. To be able to connect us to the larger culture and history of ritual is very important for us,” she said.